What really stood out to me about these plates is how beautiful the patterns are. They're modern, well designed, on trend, and just really fun. Many of them have superfine, intricate details, like in the photo above. 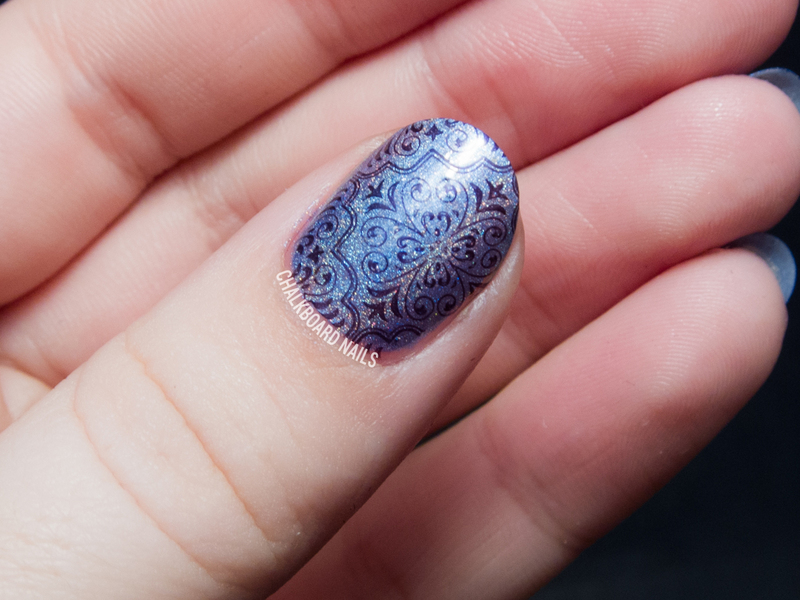 I'm not particularly skilled in stamping, but these plates seemed to work well for me! Even the finest of lines picked up each time. - The plates themselves are pretty large, especially compared to the other ones that I have in my collection. - The designs are large, and easily covered my nails with room to spare. 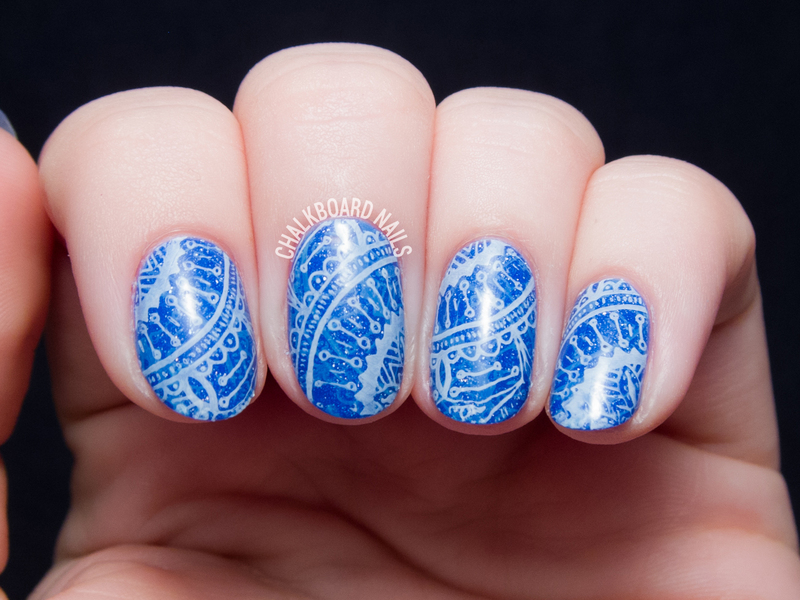 - Each plate has a general theme, which includes full nail designs plus coordinated single images. 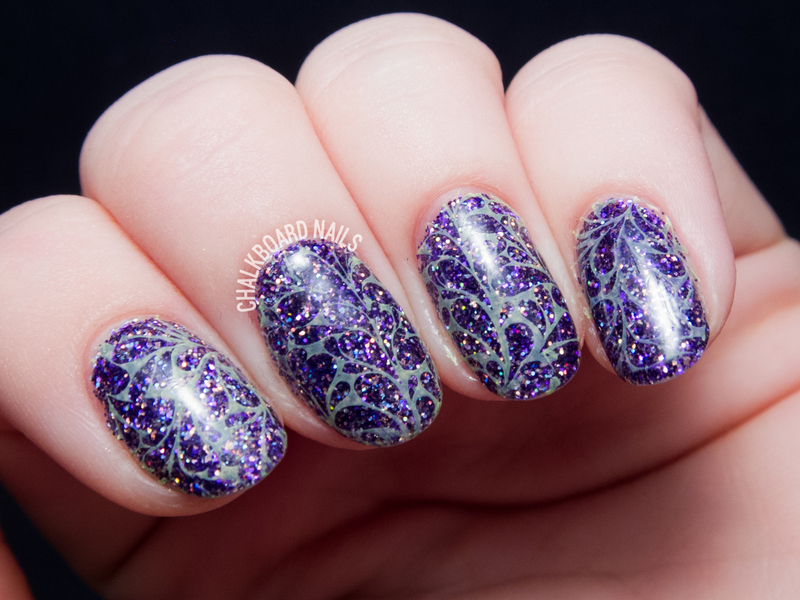 Stop by UberChic Beauty to check out their plate lineup as well as their glitters and pigments! The plates used here can be purchased in plate collections 1 and 2. I encourage you to go and check out the designs on the plates, because they really are well done. A stamper's dream! I tried stamping yrs ago & it never worked. Maybe they've gotten better than what was out there 6-8 yrs ago. It looks so easy on IG. Maybe I should give it another try with a different brand & plates. Those are some great looking stamps! I have trouble with stamping. I might check out the site you mentioned. I love that first design, it's a double stamp, right?